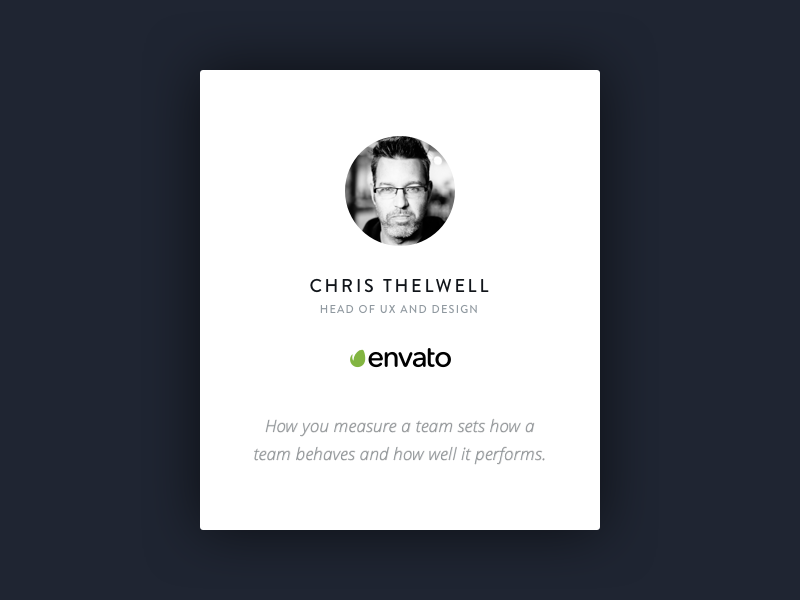 How do you track your design’s effectiveness? Editor’s note: We’ve asked a handful of design leaders to respond to prompts each week. 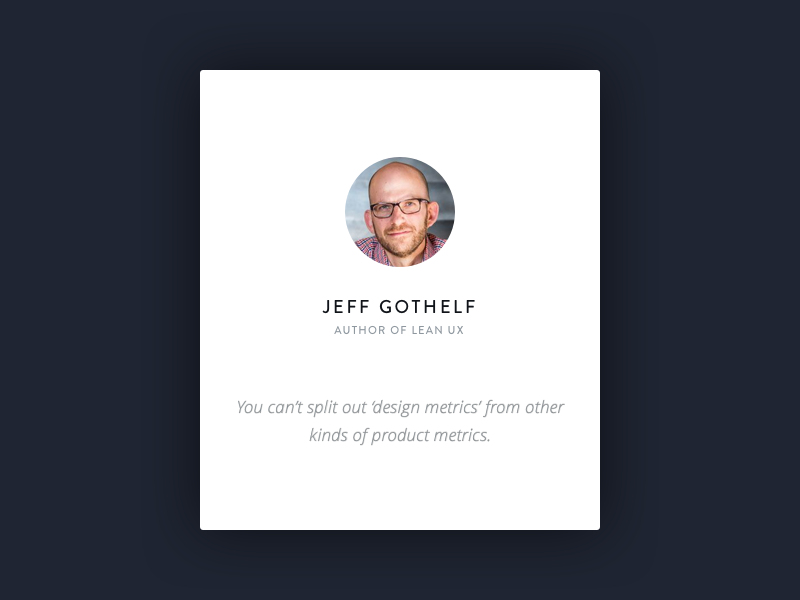 This week’s prompt was “What key metrics do you use to track your design’s effectiveness?” Read responses from Chris Thelwell and Jeff Gothelf below, and check out Nir Eyal’s answer here. How you measure a team sets how a team behaves and how well it performs. A team will naturally optimize themselves around achieving the targets they set. Agile is all about the delivery of value into the hands of the customer. “What’s wrong with that?” I hear you ask. Well, the problem lies in the fact that people focus only on measuring the delivery part. They ignore the value part or the impact that value has on the customer. With the whole team focused on the shipping, the pressure on the designers is huge. Designers are expected to deliver the deliverables of design—wireframes, mockups, prototypes, and spec documents. And they can’t let the development team slow down. This is where most agile design teams get stuck feeding the development beast. 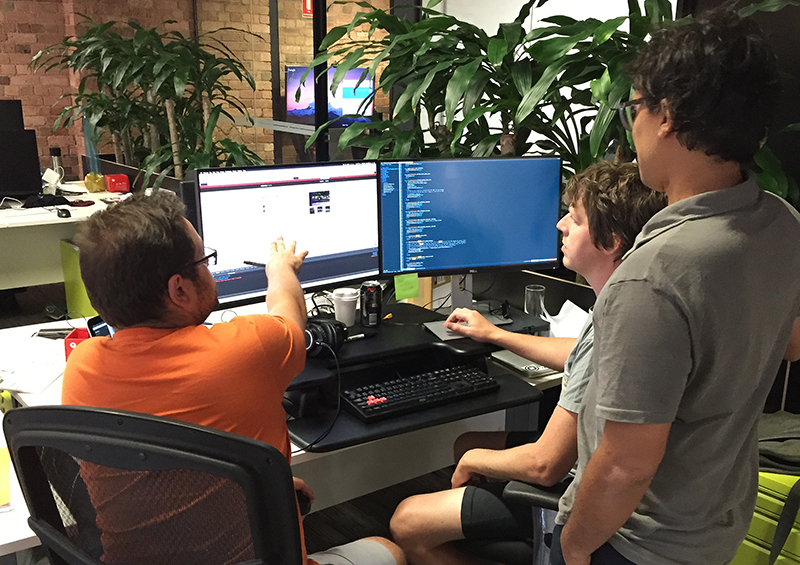 At Envato we still value shipping—it’s still really important. We measure how fast we ship working software into the hands of our customers, as well as the design team’s ability to support our developers in doing so. 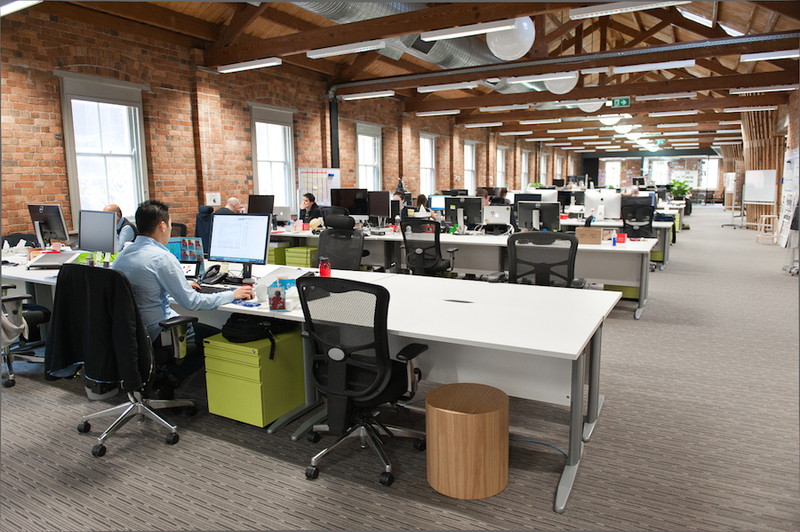 Image from Inside Design: Envato. But, taking a data-led approach, we’re now measuring the impact that the value we ship has on our customers. The teams are starting to measure key business metric that matter. They focus on making a difference to these metrics in every two week sprint. A success factor or hypothesis is decided at the start of an initiative. This defines when we are done, not just when the feature ships. We measure the number of people who successfully sign up against those who drop out. We’ve seen significant improvements since we designed new ways to sign up, such as during checkout or by reducing the number of steps. he metrics you choose to determine your design’s effectiveness vary based on each business problem you’re solving. Additionally, these metrics should be the same ones that determine the effectiveness of your product and engineering choices. In other words, you can’t split out ‘design metrics’ from other kinds of product metrics. The experience of using your product or service is holistic. Your users don’t think in terms of your org chart. The choices they make within your product reflect the sum total of design, product, content, engineering, marketing, and everyone else involved in making that product a reality. This is why it’s critical at the beginning of an initiative to determine what outcomes you’d like to achieve. Outcomes are measurable changes in customer behavior, and, perhaps most importantly, they’re objective. This is a huge benefit because it provides the product team (not just the design team) evidence for the efficacy of their choices. 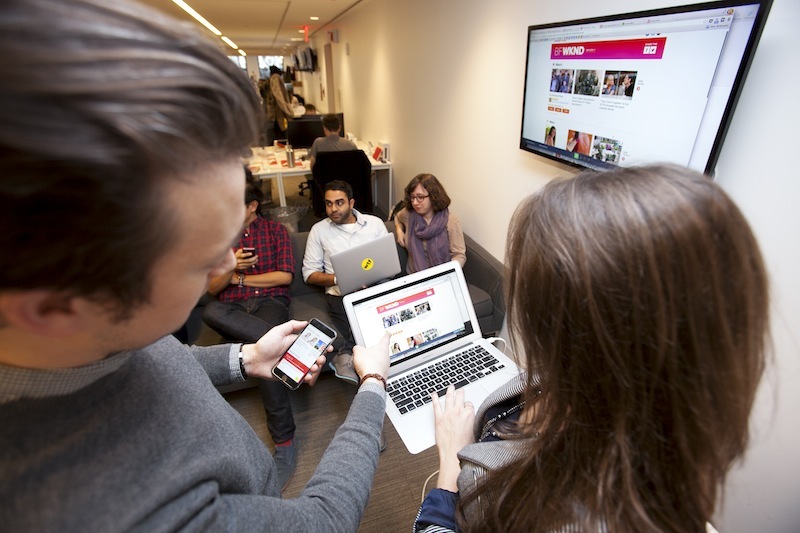 Image from Inside Design: Buzzfeed. Did these new changes improve customer success? If so, let’s optimize them. If they didn’t, let’s roll them back, learn why they didn’t work, and try again. These outcomes are related to the specific problem the team is solving. It’s therefore impossible to put forth a defined list of “design metrics” that would work across any project. When it comes to the team’s effectiveness, it’s risky and difficult to carve out a specific discipline’s performance and measure it objectively. The best approach here is to run regular, cross-functional retrospectives with the entire product team. These exercises allow the team to assess what went well over the last iteration, what could go better and who will take the necessary steps to improve specific items. While there’s no specific metric that comes out of these sessions, teams can sample the general morale of their colleagues with an anonymous poll at every retrospective. This result can be plotted over time to see if team morale—for the entire team, not just design—is going up or down and what’s driving that change.